Gravity Drainage: Is It Essential For Your Dehumidifier? » Gravity Drainage: Is It Essential For Your Dehumidifier? We’ve reviewed every high performance dehumidifier on the market, and one thing that many of them have in common is the inclusion of a gravity drainage system that allows the unit to empty itself automatically. But what if your dehumidifier doesn’t have one? Is this a deal breaker? Well, only you can decide that for yourself, but what we are going to do is provide you with a compelling argument for why this great feature should be high on your priority list. ​Whether you live in the tropics, near a coast line, or in any other area that’s highly humid you will know how annoying higher levels of humidity can be. From causing you to sweat to undermining the wellbeing of your home and family through the prevalence of mold and mildew: high levels of humidity can be a problem. What high levels of humidity mean is that the amount of water vapor in the air is higher than the average. The ratio of actual water vapor in the air and the amount it can actually hold is called relative humidity. Higher % levels of humidity are very favorable for the growth of mold, mildew, allergens and other such annoying and potentially dangerous problems. And as you can derive from its name, a dehumidifier works by reducing the levels of relative humidity in the air. The larger the dehumidifier, the more water they will be able to hold but the capacity rating rarely exceeds 8 litres or 16 pints for any average sized dehumidifier. A 70 pint dehumidifier can remove up to 70 pints of water from the atmosphere in a 24 hour period. If your indoor environment is heavily saturated with airborne moisture, you will need to empty the condensate container at least 4 times per day. The first point for consideration is the type of usage that you require your dehumidifier for. 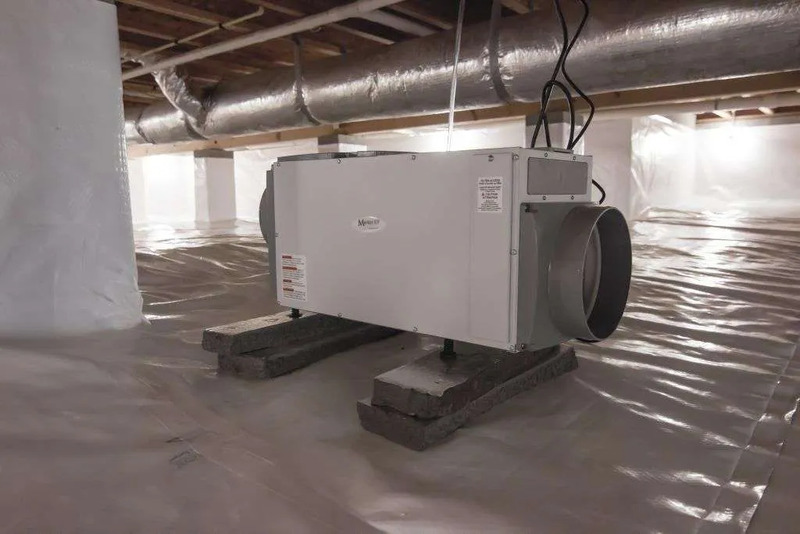 If you are buying a dedicated basement or crawl space dehumidifier which is typically used for 24 hour dehumidifying, you will most certainly require a dehumidifier that features a gravity drainage system. Of course, such models come with gravity drainage capability built in. On the other hand, a much smaller 30 pint model which is suitable for an average sized room may not come with gravity drain capability. In these instances, you will need to be on hand to empty the water tank every 6 hours or so depending on the humidity levels of the room. If your home has suffered water damage and you’re drying to dry it out whilst the property is uninhabited, this type of model isn’t suitable for your needs and you should definitely consider an alternative model. A dehumidifier fitted with a gravity drain system operates through the use of a drain hose, which automatically removes the water that the dehumidifier collects. The beauty of this system is that you are able to direct this hose to a suitable draining point such as a bathroom or kitchen drain or even out of the nearest window, providing there is an external drain nearby outside. What this essentially provides you with is 24 hour dehumidifying that doesn’t require you to be present to monitor the dehumidifiers operation. 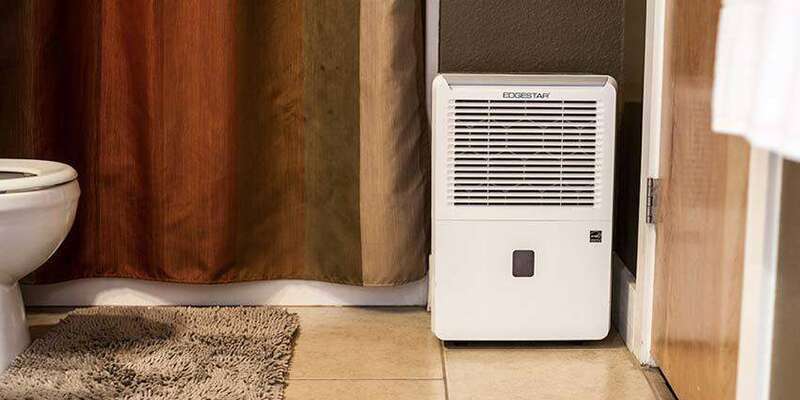 For many, this type of system is worth its weight in gold, making it a feature that should always be sought when looking for your next dehumidifier. The beauty of dehumidifiers lie within their versatility, allowing you to buy the model which is the best fit for your needs and is the perfect match for your budget. 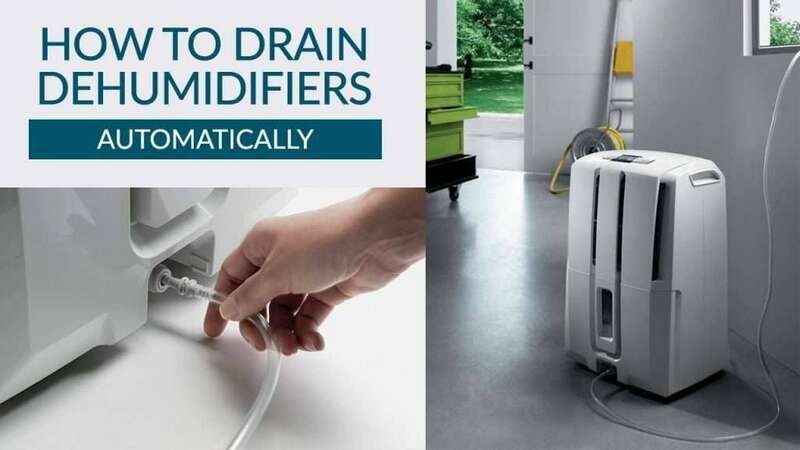 If you ever think that you will find yourself in the position where you need to run your dehumidifier continuously for extended periods of time – buy a unit with an option for a drain hose. If instead you only intend to use your dehumidifier occasionally, a low capacity model with a small water collection tank should be sufficient.